Everything. The host is superb, the apartment is awesome. The location is just 10 min walks to the Mariahilferstraße, one of the largest streets of Vienna, full of stores, boutiques and many more. Just 5 min walks to the U3 (at slow pace). Great Location, very close to public transport,, hosts are kind and very helpful, apartment is updated and very clean, love having 2 rooms, laundry capabilities, comfy beds I will be staying here again! The host was super nice and available to answer any kind of question, the apartment was big and extremely clean. 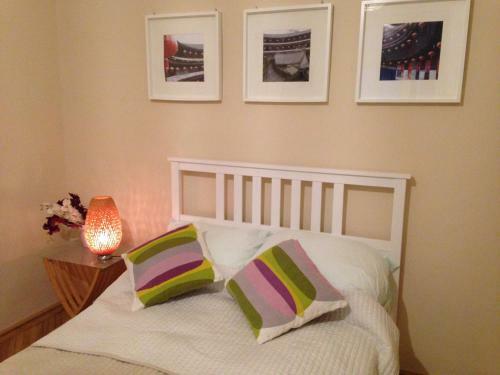 It felt like home, i would recommend it to anyone, also very close to Westbanhof station. We were provided with almost everything we needed for a comfortable stay including coffee, oil,spices, etc. The apartment is fully equipped and cozy. Maya was very helpful answered all our questions. Tolle Umgebung. Trotzdem sehr ruhige Lage. Nette Vermieterin. Wir würden wiederkommen. El trato de nuestra anfitriona. Muy amable. El apartamento además era muy cómodo y bonito, y situado en una buena zona, cerca d centro. Total sauber...Alles vorhanden, was gebraucht wird. Lock in a great price for Our Place in Seventh District – rated 9.3 by recent guests! Our Place in Seventh District is located in Vienna, an 11-minute walk from Wiener Stadthalle, 1.3 miles from Haus des Meeres, and 1.7 miles from Parliament of Austria. 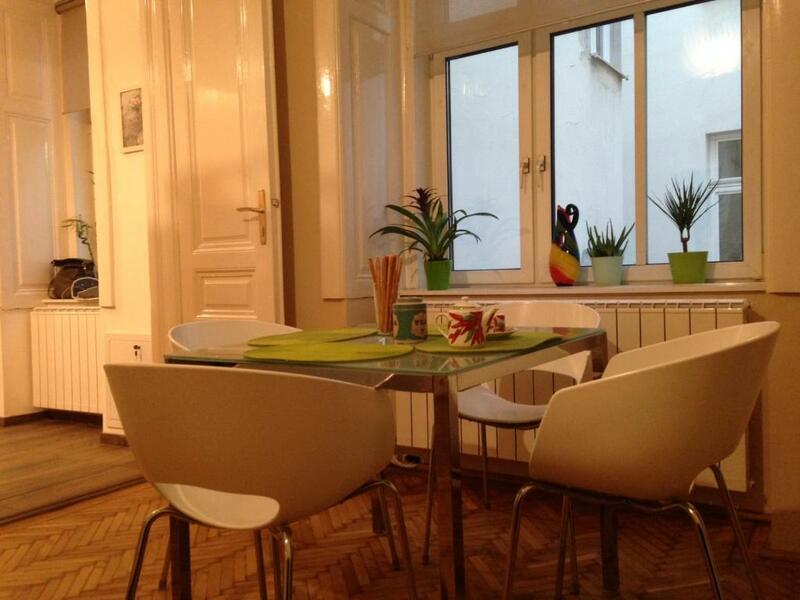 The apartment, set in a building dating from 1900, is 1.7 miles from the Vienna City Hall and has free WiFi. The apartment features 2 bedrooms, a kitchen with a dishwasher, a washing machine, and a bathroom with free toiletries. A flat-screen TV is provided. Museumsquartier is 1.8 miles from Our Place in Seventh District, while Leopold Museum is 1.8 miles away. Schwechat Airport is 14 miles from the property. When would you like to stay at Our Place in Seventh District? Our Place in Seventh District is located in the 7th District- Neubau, in a quiet and hidden street, and in a cosy Viennese-style residential building, in a vicinity of most Top-Rated Tourist Attractions. 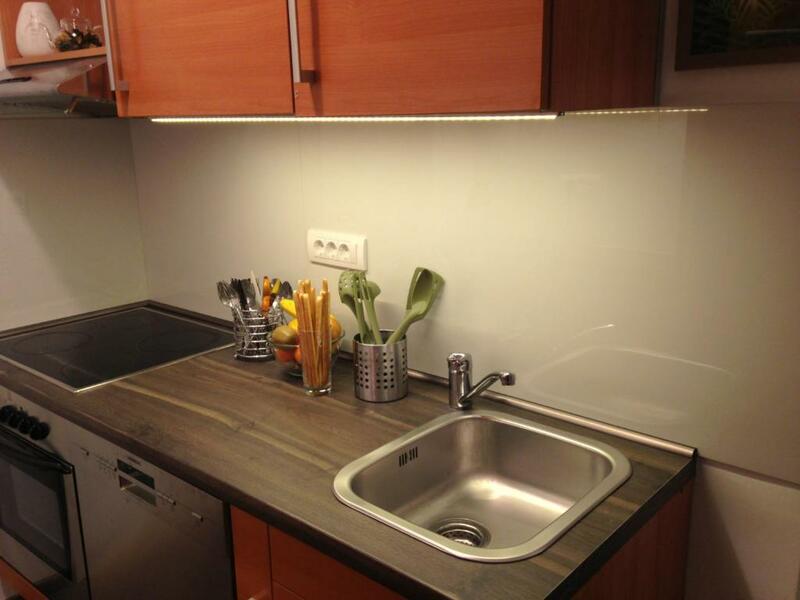 Apartment is easily reached from the airport,bus and train station. It is consisting of 1 bedroom, 1 living room, small kitchen, bathroom and a toilet. Living room is set up as a bedroom ; it has a bed, dining table, TV and sofa. Bedroom is reached through a living room.Both rooms have a double bed-140 cm x 200 cm. There is no additional common space. Apartment is on the first floor in a building with a small elevator. There are 3 stair steps leading to the elevator. The building is unfortunately not wheel-chair accessible. Great transportation connection with the rest of the city. Excellent connections to airport, bus and train stations. Closest subway stations are Burggasse, Westbanhof and Zieglergasse. PARKING - There is parking possibility in the Apollo Garage, 4 min walking distance from the apartment 12 Eu/ night. Parties are not permitted. No smoking. No pets. I was born in Serbia, and raised in the capital city, Belgrade. Most of my childhood years I lived in Africa, where I developed passion to travel and meet new people from all over the world. I also lived and worked in New York city for many years, and used every possibility to travel as much as I can and as far as I can. I am married to Milan, Serbian/ American, and we have 3 beautiful young boys! 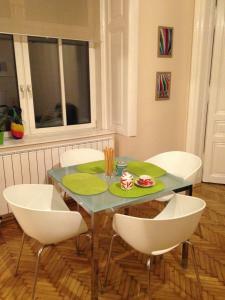 We are living in Vienna now, and we are looking forward to host you in our apartment. We love travelling and we know what is important for our guests to feel comfortable and at home! 7th district is a cool, alternative and very independent district in Vienna that attracts a bohemian crowd of artists and designers. The neighborhood gives a perfect opportunity to every traveler to explore this alluring area with many quirky shops, bars, artists' studios, amazing international and traditional Viennese restaurants, music clubs and homey cafes that line its streets. House Rules Our Place in Seventh District takes special requests – add in the next step! Please inform Our Place in Seventh District of your expected arrival time in advance. You can use the Special Requests box when booking, or contact the property directly using the contact details in your confirmation. There are no curtains on the windows, only transparent veil. We felt lack of privacy because of the neighbours’ windows right opposite ours. We were also asked not to take shower after 9 pm, that caused some inconvenience after a long day in the summer boiling city. It would have been better to know about this “ rule of the house” in advance. The Host is very kind, great location.